Basically How To Train Your Dragon The Sentai. I'm guessing that "souger" being a sound-alike to "soldier" is not a coincidence. I wonder if "-souger" is going to become the new "-renja." 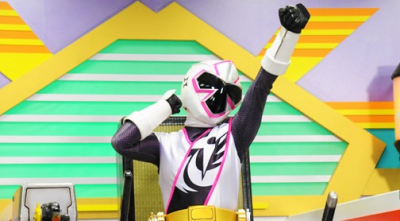 So a new version of Magirangers? You had me sold at dragons. I'd like to see the 6th member have a king ghidorah-like mecha. Hasbro can do Medieval Rangers without doing Mystic Knights. Maybe the Rangers pilot dragons...Do not need Magic to make it work. We could have a evil ranger as a black knight.